Selected Villas for rent near The Villa Cafe (Sri Lanka) - Contact us now! A meal at The Villa Cafe promises to be an excellent dining experience. 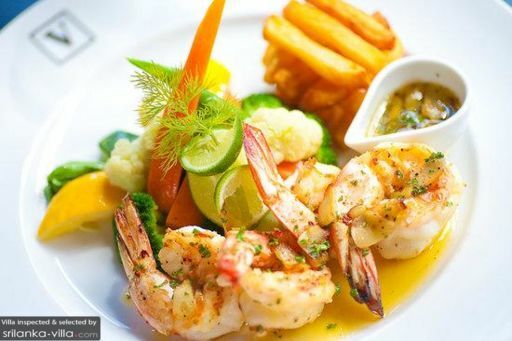 The service is attentive and non-intrusive, the chef whips up a diversity of scrumptious dishes with beautiful presentations and the eatery boasts a classy and elegant setting. The prices here are higher relative to local eateries, but well worth paying for the quality of the food and the enjoyable experience.